More than four centuries after his death, the work of William Shakespeare still inspires young readers today. Few writers ever break through to be really famous in their lives. Fewer still hold on to fame after their deaths. And only a small handful produce work that remains relevant and popular hundreds of years after it was written. William Shakespeare is, of course, one of those select few. His popularity holds on some 400 years after his death and not just in rote reading assignments. 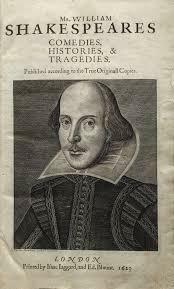 A couple times a week, a group of students at Kenai Central High School gets together for Shakespeare Club. KDLL’s Shaylon Cochran recently stopped by over lunch to see why the Bard of Avon still holds up today. I went around the table with these students to get their take on why Shakespeare still holds up and what they find so interesting about it as to sacrifice precious lunch time to his study. “Most of us have a copy of The Complete Works of Shakespeare, and we go through and we pick a couple of plays that we decide to read as a group. And we discuss it because it is hard to just read through Shakespeare and understand everything. And then afterward, if we can find a good play or movie (version), we’ll watch over lunch,” explains Raven Patrick. When it comes to favorite works or maybe a particular line or character that stands out, this group knows the classics. “My favorite work is probably the 12th Night, which was the first one I read and that was the first time I realized that Shakespeare can be funny and it’s not just torture that teachers make you read,” says Abigail Moffitt. “I found the comedy interesting,” says Thomas Mathis about the immortal Hamlet. That’s a popular work with this group. Josh Grosvold agrees, the tragedy and drama of royal family strife still equals comedy today. So clearly, the humor has staying power, but so does adaptability. The basic structure of some of Shakespeare’s most famous works has been reworked and repurposed over and over again. But even more than that, it’s the resonance with the everyday, the common, that keeps Shakespeare relevant, says Meredith McCullough. It’s her English classroom that the group has called home for the past four years. In fact, the whole thing started because her students were way into Henry V, but didn’t have time during class to get to the rest of that story. Now, they’re meeting three times a week. And anyone who’s got this much attention from a group of busy high schoolers has definitely got staying power. Every year teenagers from around the world come to the United States to study as exchange students. Some wind up in Alaska where the culture shock is just that much more than it would be in the Lower 48. One of the students in Kenai this year is Rim Khayata, a junior at Kenai Central from Beirut, Lebanon. She spoke with KDLL’s Jay Barrett about her country and attending school here.